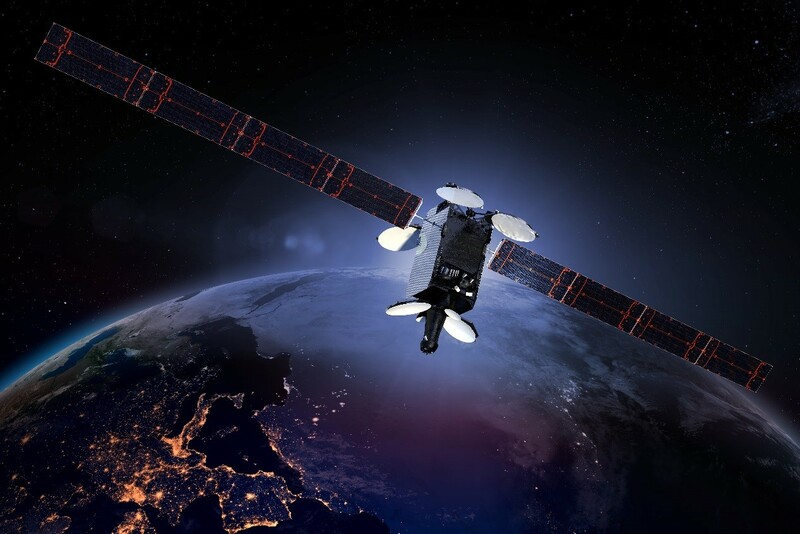 Intelsat 37e for the global operator Intelsat and BSAT-4a for SSL (Space Systems Loral) in the framework of a turnkey contract for the Japanese operator B-SAT. 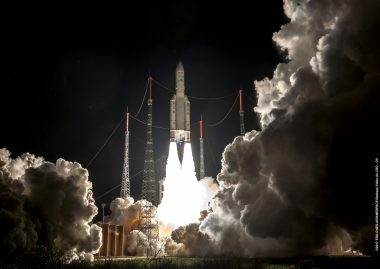 With this 292nd mission performed by its family of launchers, and the 239th utilizing an Ariane family launch vehicle – Arianespace is at the service of the latest innovation in space telecommunications. 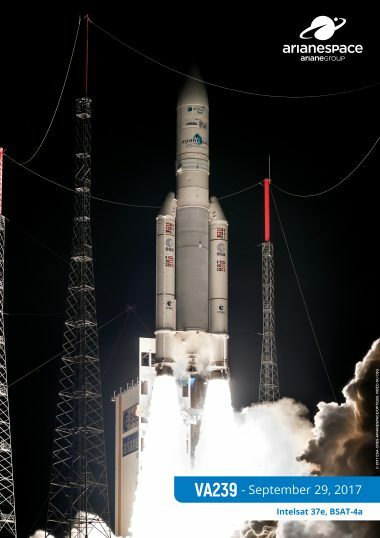 Intelsat 37e is the fifth broadband infrastructure satellite in the Intelsat EpicNG series. 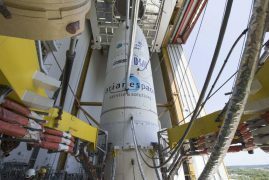 The satellite will be the fourth EpicNG spacecraft orbited by Arianespace to date, after a successful dedicated Ariane 5 mission with Intelsat 29e, the 100% successful dual launch to orbit the Intelsat 33e and Intelsat 36 satellites, and less than six months after the successful orbiting of SKY Brasil 1/Intelsat 32e. Intelsat 37e represents a significant evolution of the award-winning EpicNG platform. 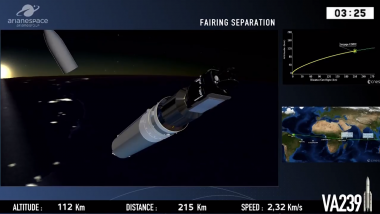 Its enhanced, advanced digital payload features the highest throughput of the entire Intelsat EpicNG fleet, with full beam interconnectivity in three commercial bands and significant upgrades on power and coverage flexibility. Intelsat 37e incorporates enhanced power sharing technology, which enables the assignment of power between shaped, fixed and steerable spot Ku-band and Ka-band beams. This allows optimized services to meet the requirements of in-demand applications – by region – and deliver higher transmission efficiency for mobility and government customers in the Americas, Africa and Europe. Intelsat 37e is the first satellite to offer interconnectivity between three different bands. 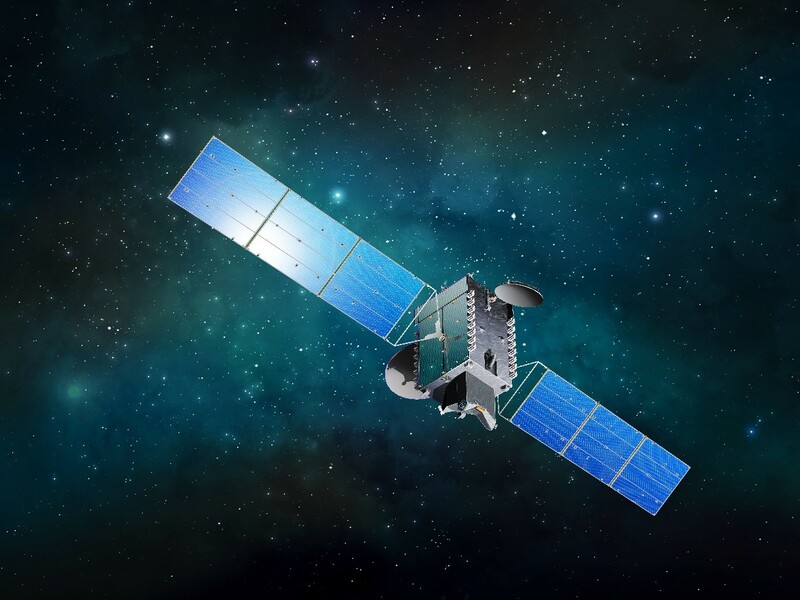 The next-generation spacecraft delivers high-performance service in C-, Ku- and Ka-bands for use in wireless backhaul, enterprise VSAT and mobility networks. The C-band payload offers a unique mix of high-power spot and wide beams designed to deliver additional services and improved throughput. Intelsat 37e also features a Ku-band steerable beam that can be positioned anywhere to support government applications. In addition to the steerable beams and power-sharing technology, Intelsat 37e provides additional resiliency to the IntelsatOne® Flex managed service platform, for use in enterprise and mobility applications. This satellite provides continuity for the Intelsat 901 satellite, which is used by enterprise network providers, wireless operators and mobility service providers. The beams on Intelsat 37e form part of the IntelsatOne Flex mobility and enterprise managed service infrastructure, which is used to support air and maritime services, as well as private data networks. It is designed to provide service for more than 15 years. 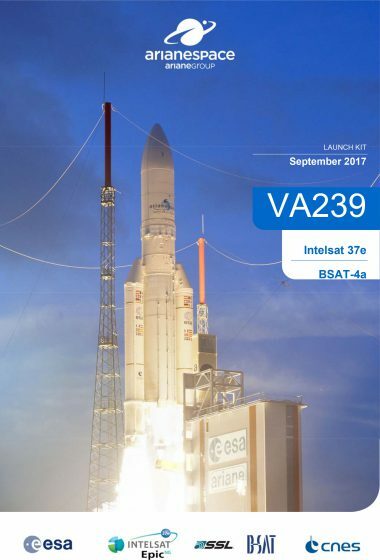 Built by Boeing based on its 702MP platform, Intelsat 37e will be the 55th satellite made by this manufacturer (or its predecessors) to be launched by Arianespace. 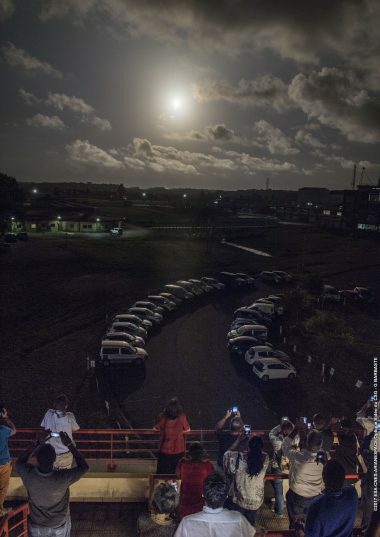 The BSAT-4a satellite, designed and built for Broadcasting Satellite System Corporation (B-SAT), a leading broadcasting satellite operator in Japan, will be used for Direct-to-Home (DTH) television service in Japan. 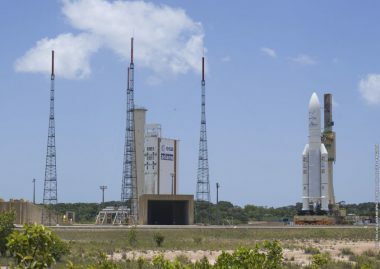 BSAT-4a is the 9th satellite to be launched by Arianespace for B-SAT, and is being orbited as part of a turnkey contract between B-SAT and U.S.-based satellite manufacturer SSL. 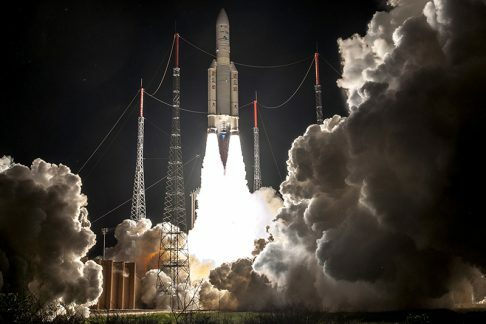 Arianespace has launched all B-SAT satellites since the creation of this Japanese operator, reflecting the launch services company’s exceptionally strong position in this market. 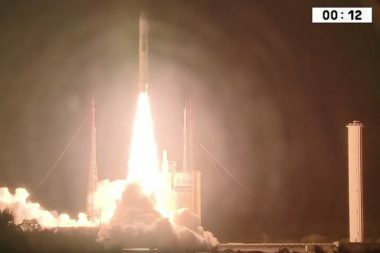 BSAT-4a is the 30th launch contract for a geostationary commercial satellite won by Arianespace in Japan. 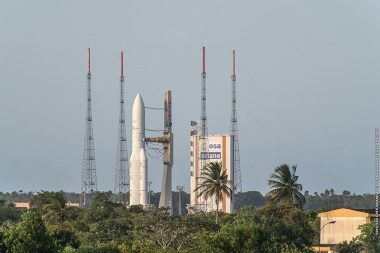 This mission also underlines the exceptional quality of the partnership between Arianespace, SSL and the Japanese operator B-SAT. 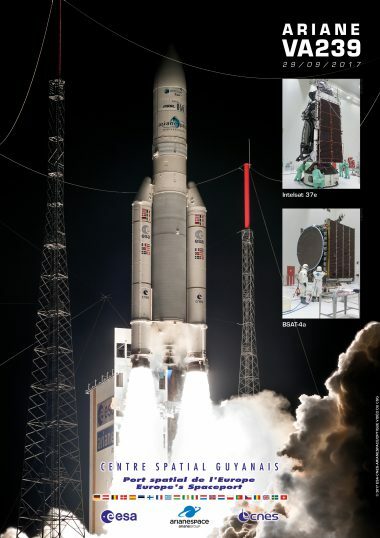 The BSAT-4a satellite has 24 Ku-band transponders and will expand the availability of advanced television services such as high definition and 4K/8K ultra-high definition. The satellite is based on the highly-reliable SSL 1300 platform, which provides the flexibility to support a broad range of applications and technology advances. It is designed to provide service for 15 years or longer. BSAT-4a will be the 64nd SSL-built satellite to be launched by Arianespace. Ariane 5 orbits Intelsat 37e and BSAT-4a on Arianespace’s latest mission from the Spaceport	Arianespace orbited telecommunications satellites for long-time customers on today’s successful mission – confirming the company’s role as a launch services leader in terms of availability, reliability and performance.